When we first take children from the world and put them in an institution, they cry. … But gradually, over the many years of confinement, they adjust. The same people who do not see themselves as “above” nature but as within it, tend not to see themselves as “above” children but alongside them. They see no hard line between work and play, between teacher and student, between learning and life. It is a possibility worth considering that this is more than coincidence. The underlying belief that somebody always has to be in charge is stubbornly persistent, woven into our thinking at a very deep level. There always has to be a subject and an object, a master and a slave. We have forgotten how to live and let live. Control is always so seductive, at least to the “developed” (“civilized”) mind. It seems so satisfying, so efficient, so effective, so potent. In the short run, in some ways, it is. But it creates a thousand kinds of blowback, from depressed rebellious children to storms surging over our coastlines to guns and bombs exploding in cities around the world. 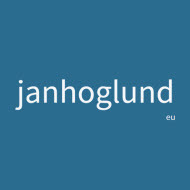 Jan Höglund's Blog, Proudly powered by WordPress.